A really different owl. The Blakiston's Fish Owl is not only the largest of owls - it also lives entirely of aquatic prey, mostly fish. I took this image in northern Hokkaido, Japan. By a small stream in the snow-covered mountains an old woman had a small guesthouse and she was preserving the local owls. 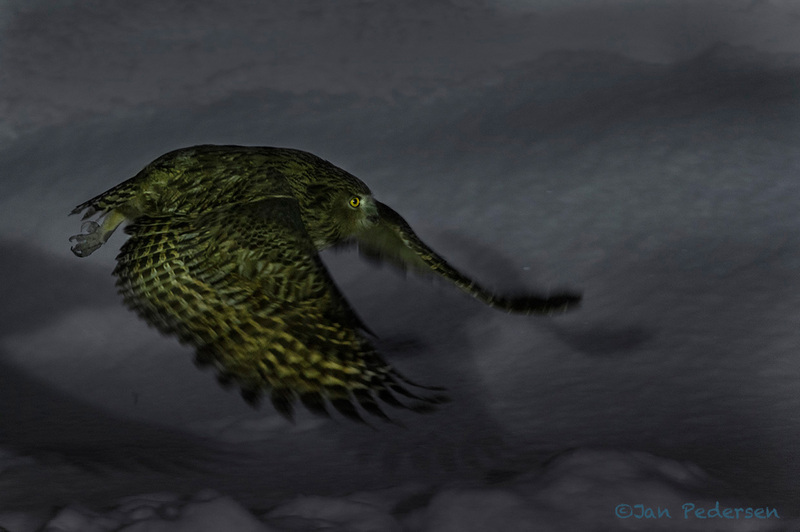 During the night 3 owls would come in turns to take the released fish in the frozen river. Difficult because flash was not allowed and only the permanent lamps would shine. 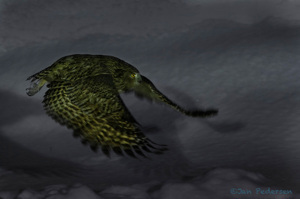 The Blakiston's Fish Owl is endangered in Japan and on the far-east Asian mainland. This owl has a very small, rapidly declining population due to widespread loss of riverine forest, increasing development along rivers and dam constructions.